While at our store be sure to visit our on-site Boxing training center. The gym was first created so that Domenic Filane and his brother Gerry had a place to train and stay in shape while home in Schreiber. Now that Domenic is in Schreiber full time, he is giving back to his community by offering Boxing Classes and Boxercise. Boxing classes are offered to the local youths, and a Boxercise program is available for adults wishing to try their skill at boxing and maintain fitness. 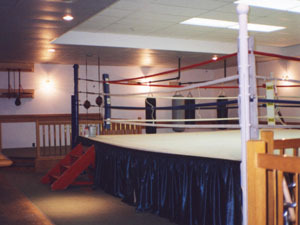 Our gym is open to all those who wish to try their hand at the sport of boxing for fitness and/or competitively. 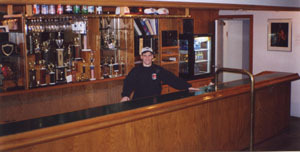 At the gym refresh yourself at the Ringside Cafe, which offers Filane's Canadian Spring Water and specialty coffee. Browse through the photo collection of Domenic's worldwide journeys, as well as his collection of medals and memorabilia collected in his travels. Also be sure not to miss the Wall of Fame. This is the hallway that leads from the store to the gym where Domenic's photo collection featuring all the "celebrities" he's met in his travels with the Canadian Olympic Boxing Team. Our gym also transforms into a night club where we host kids dances in support of Fallen Rock Minor Hockey.